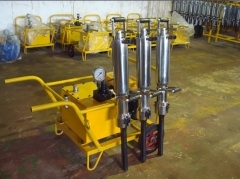 Hydraulic drifter CHYG38B can replace the Atlas cop1238 CHYG38B fully hydraulic rock drill employs hydraulic units in combination with individually slewing units. 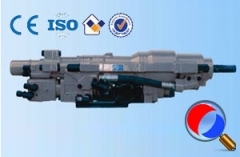 It's equipped on hydraulic rock drilling jumbo during operation, and suited for medium-hard rock drilling in any directions and for solid hard rock as well. 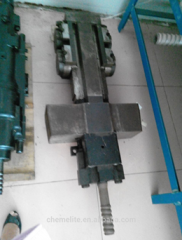 The piston stroke and impact frequency is adjustable to adapt for the rock stratum with different hardness.The diameter of drilling rods being used are either φ38mm or φ45mm. 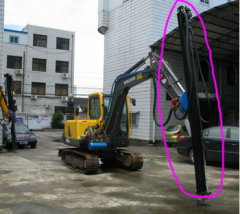 It's designed and intended for larger-diameter borehole drilling and open-pit rock drilling. 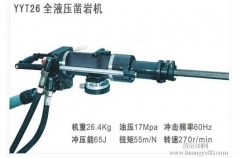 The hole diameter sizes from φ65 to φ125mm. This new product is efficient and energy-saving with a long-term stable performance. 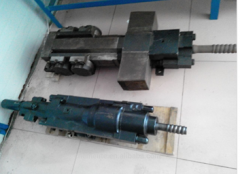 Working index of this product is 6000 linear meters with service-free.